good evening, guess i haven’t wish everyone here HAPPY NEW YEAR, lol, i just did. 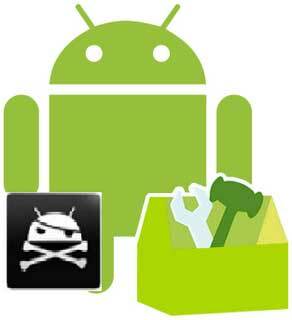 Nowadays, rooting of android smartphones seems to be a little bit compulsory compared to it’s advantage after rooting. In this post, I would be dropping most common rooting process and devices it work perfectly on (to get your device rooted), so feel free to make use of any method incase the first one you tried didn’t work for you. Before you read further, let me explain to you the advantages and disadvantages in rooting your android smartphone, then after reading through, it would be left for you to decide if to root it or not. – It’s also an advantage in terms of custom roms by speeding up the processing speed of your android smartphone. – It involve the risk of bricking your device. guess you know the adv and disadvantages of rooting your device,if you’ve made your choice then continue reading. you can always stay turned (subscribe to our blog feed) for post on how to un-bricked your device . First download usb driver for galaxy Note 3 to backup your files…. => Internet connection on PC and your gionee P2, Rooting tools and drivers. box that says USB debugging. => Have your micro USB cable handy. root package can be found by following this link. => Enter framaroot app then click on bromir a prompt message will appear telling you have successfully root phone you need to reboot system. => Then Download Vroot Here. * A root button will appear. If it doesn’t, close the PdaNet running from your system tray. NOTE: Download Root checker to verify if your phone is rooted or not. incase none of the methods work for your device, drop the device name/model and lets find a perfect method for it. Please how do i root my injoo i2s 4.4.2 kitkat phone? I just want to tell you that I’m newbie to weblog and certainly loved you’re website. Probably I’m want to bookmark your blog . You really come with amazing well written articles. Cheers for sharing with us your webpage. Plz boss, hw can I root my tecno d3?